FenwayNation—Red Sox, Mookie, J.D., Bogaerts, Sale, JBJ—Founded 1/27/2000—9-Time Champs: Will Xander Bogaerts Ever Hit Another Home Run? 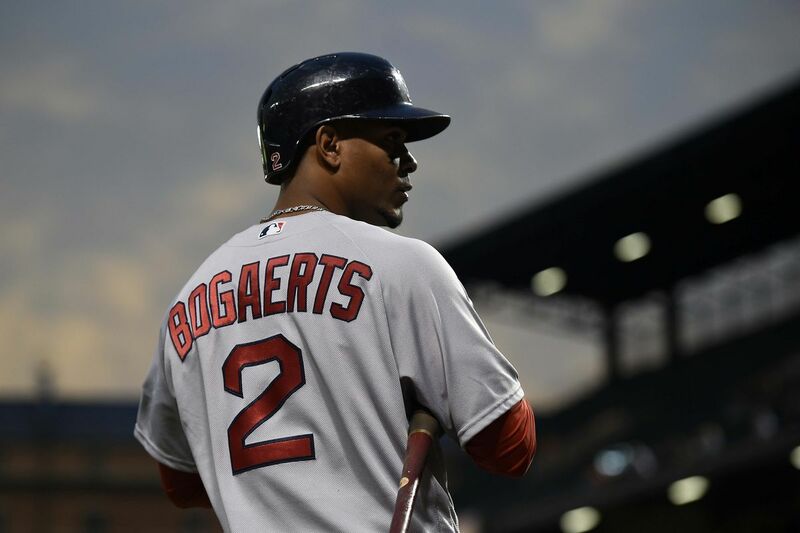 Will Xander Bogaerts Ever Hit Another Home Run? This has been a curious season for Red Sox shortstop Xander Bogaerts. He is leading the team in hitting (.336), on-base percentage (.392) and hits (44). By any measure that is a superlative first month-and-half. If you're a stat geek, he's even leading the Red Sox in offensive WAR (1.4). But one stat sticks out like a sore thumb: zero home runs in 131 at-bats. In 2016, Bogaerts had 10 HRs prior to the All-Star Break—and 21 for the full season. Unless he goes on a HR tear over the next two months, there's little hope that he gets to last year's total. So, what's going on? Part of the issue is the type of hitter Xander is: exquisite bat control, opposite field potential, great two-strike approach. He doesn't deliver a pre-programmed "slugger" mentality to every at-bat—he adapts his swing to the circumstances. That makes for a really good average hitter, but not necessarily a thumper. Our guess is he will find the power stroke soon and get to roughly 15 HRs when all is said and done. If he also hits .330 along the way—hey, we'll take it.